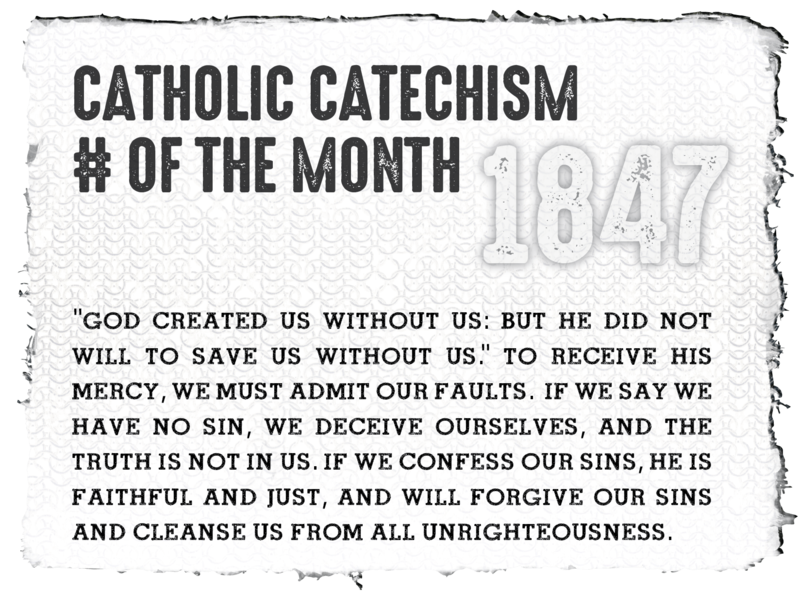 The Catechism number of the month is all about God’s mercy. 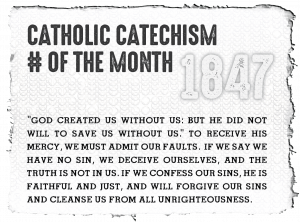 It is number #1847 of the Catechism of the Catholic Church: God created us without us: but he did not will to save us without us.” To receive his mercy, we must admit our faults. If we say we have no sin, we deceive ourselves, and the truth is not in us. If we confess our sins, he is faithful and just, and will forgive our sins and cleanse us from all unrighteousness.